No. 375818 the following morning. 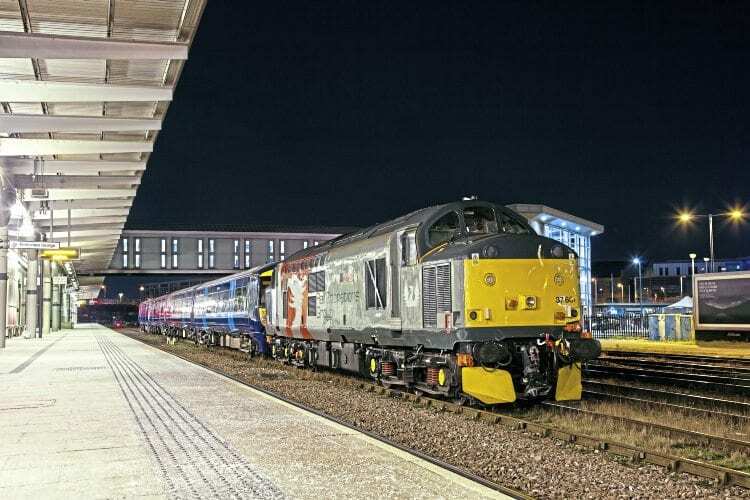 37601 ‘Perseus’ rests for the last time in Carriage Siding 1, Derby in readiness for the 5Q58 0440 Derby Litchurch Lane – Ramsgate EMUD unit (375818) move the following morning. The Carriage Sidings officially closed at 2359 on Saturday 1st December in preparation for the station remodelling work. Previous Post:Abellio due to hand back UK’s most reliable EMU! Next Post:Ro-Railers – ahead of their time or overtaken by events?